It’s a “phablet” device with a beautiful display, sturdy build quality, and exceptional battery life that isn’t going to break the bank. If that’s what you’re looking for, then the Ascend Mate 2 is going to be worth every single penny. Huawei is looking to gain some ground in the U.S. market by offering an affordable off contract smartphone packed with features that many people want. 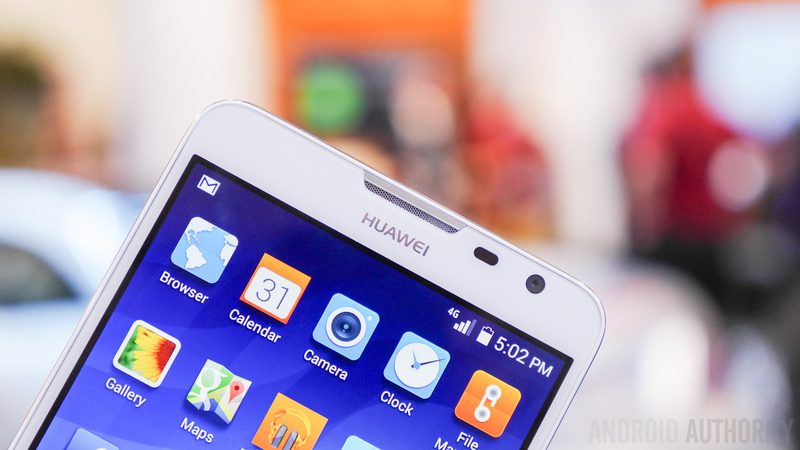 That phone is the Ascend Mate 2, and it’s available at GetHuawei.com for $299. Starting with the design the Ascend Mate 2 isn’t anything that’s going to stand out in the crowd but it’s a pretty decent looking phone. It’s an all plastic rectangular black slab with slightly rounded corners and a tapered back. Despite being made of plastic it feels extremely solid in the hand and the textured back gives the phone a very nice grip. It is a large phone though so you’ll probably find yourself using this with two hands more often than not. The biggest reason why this phone is so large is because of the 6.1 inch 720p display on the front. If you’re a pixel junky you’ll most likely shy away from this display but it really isn’t as bad as it sounds. While you will notice some pixels in the finer details like folders for example, the display overall is fantastic with great colors, viewing angles, and brightness. Just the sheer size of it alone makes it great for consuming media. When you boil it down, the Ascend Mate 2 is a midrange phone and with a midrange phone comes midrange specs. Inside is a Qualcomm Snapdragon 400 clocked at 1.6 Ghz, an Adreno 305 GPU, and 2GB of ram. The specs won’t blow anyone away but we all know real world performance is what really matters and the Ascend Mate 2 performs admirably through regular everyday usage. It handled everything I threw at it from opening and closing apps, multitasking, and heavy gaming without any noticeable hiccups. It’s phones like the Ascend Mate 2 that prove that you don’t always have to have the latest and greatest specs to have a phone that performs well. What doesn’t perform so well is the 13 megapixel camera. In terms of megapixel count it sounds like it’s going to be a very respectable shooter but in reality it’s an average camera at best. The camera UI is very minimal which means you can spend more time taking photos than fumbling around with camera settings. Photos do look very sharp and detailed but the camera always has a tendency to overexpose leading to a lot of unbalanced shots. It’s not the best camera I’ve ever used but for the casual smartphone photography, it’ll get the job done. Typically front facing cameras aren’t talked about because most of the time they’re very basic but Huawei has managed to make the front camera on the Ascend Mate 2 interesting by adding a 5 megapixel wide-angle lens and a special feature called groufie. A groufie let’s you take the selfie craze to a whole new level by allowing you to not only include yourself but also a bunch of your friends in a single frame. It’s nothing that is going to make you run out and by this phone but if you love taking selfies you’ll love this feature. With a big phone comes a big battery and the Ascend Mate 2 comes packed with a very large 3,900 mAh. I can safely say that this phone can make it through an entire weekend before being plugged back in. This phone easily lasted me two days which amounted to over 8 hours of screen on time and for a smartphone in 2014 that is just ridiculous. I’ve gone through quite a few smartphones over the last several years and when it comes to battery life the Ascend Mate 2 is the best that I’ve ever experienced. Another great thing about the Ascend Mate 2 is the fact that it can act as a portable power bank. It’s voluminous battery enables it to be connected via MicroUSB to charge any and all other USB powered devices you might have in your midst. Definitely a huge plus! When it comes to the software the Ascend Mate 2 is running on Android 4.3 Jellybean with Huawei’s Emotion UI layered on top and it’s quite the departure from your typical Android experience. There’s no app drawer so you’ll have to resort to folders for organization. The UI is very colorful but it isn’t the heaviest skin we’ve ever seen and Huawei has packed in some very useful functions like an easy mode for a more simple experience, and the W.O.W button that’s lets you run a limited amount of apps on the screen at the same time for some true multitasking. While the Emotion UI strays quite a bit from stock android, it isn’t intrusive or gimmicky. The best part about this phone is the price. 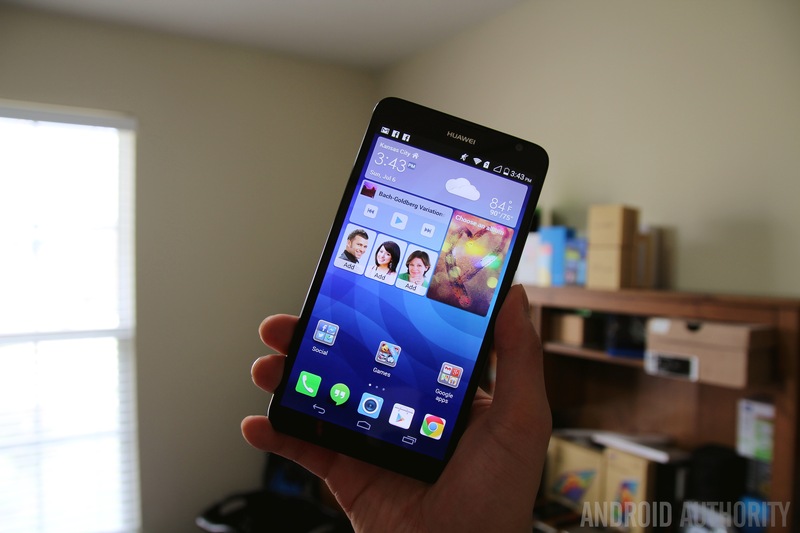 The Ascend Mate 2 is available now directly from Huawei for $299.99 (It’s also available on Amazon) without a contract and it supports 4G LTE on T-Mobile and AT&T in the United States. For 300 dollars this is a fantastic phone and while there certainly are a lot of great options nowadays in this particular price range, you’ll be hard pressed to find another phone like the Ascend Mate 2 with it’s large display and gigantic battery for such a low price. It’s a big phone with a small price and if that’s exactly what you’re looking for the Huawei Ascend Mate 2 is definitely worth a look.